We're all going on a summer holiday! Christmas lovers will be waving their tinsel with rage, but we truly believe that this is the most wonderful time of the year. Long days filled with sunshine, beach hopping to find the perfect shade of sand, dipping in the pool when you need to cool off. There's nothing that can quite match the excitement of counting down to your summer adventure! If only you could bottle that feeling of stepping off the plane and into the warmth – a week or two of paradise ahead of you. Now that would be the perfect winter pick me up! We've put together some of our best summer holiday destinations, so where will it be for your next escape? Sharing a pool is so last summer! Who wants to start their summer holiday with a mad dash to reserve a sunlounger? Returning later to find the pool heaving with other holidaymakers. Cool off in style with your very own private pool on your villa holiday. Always open for you and your loved ones, sunloungers reserved – this is how summer holidays should be. With your very own kitchen you can knock up a cocktail or prepare some pool snacks whenever you like, or take the chef duties outside on your barbecue. With privacy and loads of personal space, you're well equipped for quality time with those that matter most. And that's how the most amazing summer memories are made. You don't get a reputation as strong as this among holidaymakers by being a summer slouch! 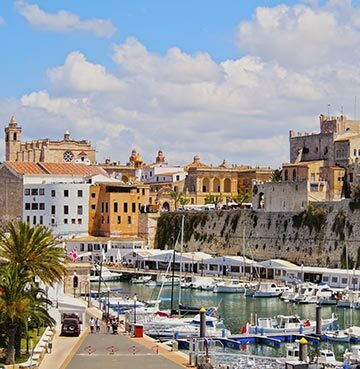 The Balearic Islands are jaw-droppingly beautiful, have retained their unspoilt feel and offer plenty of activities. A tricky juggling act for most destinations, the Balearics pull this off with an effortlessness that can only help you feel relaxed. The beaches here are the main draw, with gently sloping sand on family friendly stretches and quiet coves for couples craving romance. If you love to get out and about then take your pick from Cycling in Mallorca, history hunting on Menorca or Old Town exploration in Ibiza. 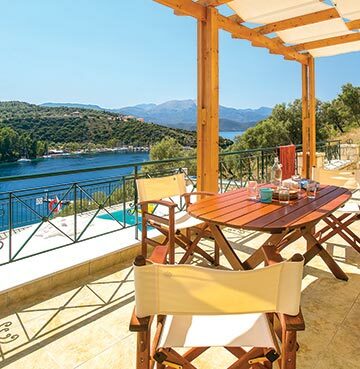 Island escapes and summer holidays go together like lamb and Greek tavernas – so where better for some June to August jet setting. Some of the most idyllic beaches sit on these shores (we're talking Caribbean-esque levels of white sand and turquoise seas), with some truly unique coves and bays thrown in for good measure. You'll struggle to find a destination steeped in a richer history, you're never far from some bewitching mythology or a monument with a story to tell. One thing that's certainly not a myth is that famous Greek hospitality! The locals here are so friendly, ideal if you fancy a summer holiday where you'll truly feel at home. Fresh, hearty and flavoursome, the cuisine here tastes a lot like home cooking too, so a Greek taverna is an absolute must! In the blink of an eye Croatia had suddenly become the must visit summer destination! Those who returned had so many amazing tales to tell that everyone was left scratching their heads at how it hadn't become so popular sooner. From the ridiculously photogenic waterfalls in Plitvice and Krka, to the island beaches that are quite simple a work of art – this is a country blessed with natural beauty. 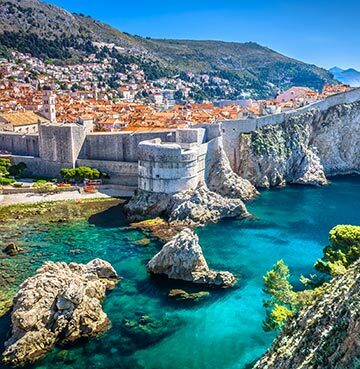 Split and Dubrovnik have the wonderful knack of blending centuries of history with the hustle and bustle of modern life. Not to mention the latter's appeal to fans of a certain fantasy TV show! And just when you think you've seen or heard it all, it throws a curveball in the form of Roman amphitheatres, mountain ranges and almost deserted islands. Croatia knocks summer holidaying well and truly out the park. Greece always grabs the limelight when it comes to hospitality, but the locals of Malta and Gozo must come in at a close second! Friendly faces will stop to offer helping hands whenever you're looking a little lost – which definitely comes in handy if you need directions. 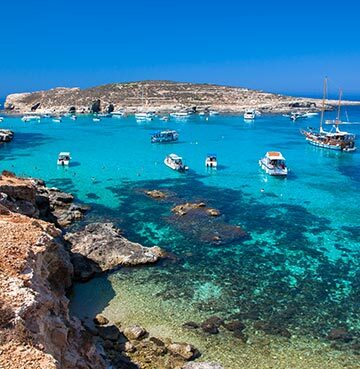 The islands are awash with stunning beaches, complemented by the likes of Malta's Blue Grotto sea cave and nearby Comino's Blue Lagoon. Activities range from visiting the Popeye Village film set, to exploring the historic cities of Mdina and Valletta and admiring the specular views atop the towering Dingli Cliffs. 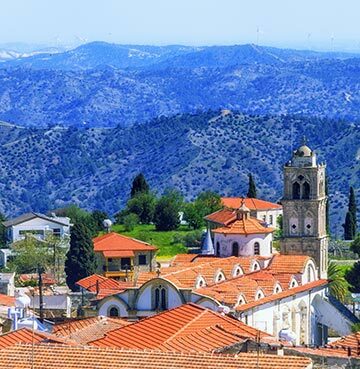 The summer months are the ideal time to visit Cyprus, with temperatures creeping up into the 30s. You'll loving topping up your tan as you explore, with almost every sight and attraction sitting in the great outdoors. And when we say great, we mean it here! 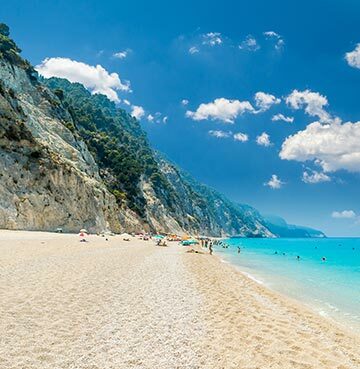 Its beaches are a fabulous blend of sandy stretches, rugged bays and pebbly coves, with lovely surprises like nesting turtles and Petra tou Romiou – where mythology that sits just slightly offshore. Mountains and waterfalls make up the island's interior, with great trails for hiking and adventuring. Plus, you'll find some charming untouched villages as you trek around! When it comes to history, Paphos even has its own Archaeological Park – home to Roman villas, fascinating ruins and mosaics that speak of ancient tales. 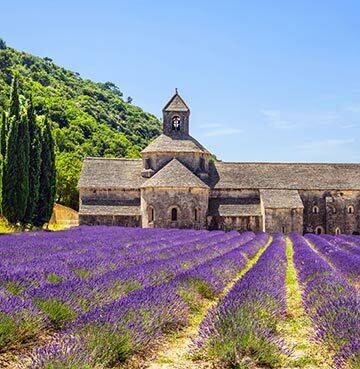 A little like Cyprus, uncovering the South of France leads you out into that warm summer sunshine. From animal spotting in the Camargue National Park to trekking along the rusty red Ochre trails in Rousillon. The Gorges du Verdon is nature as its very best and can be viewed from above, at ground level on foot or in a kayak as you paddle down its crystalline waters. Historic expeditions take you to fascinating Roman relics, including an impeccably preserved amphitheatre and a delightful arched bridge. The Côte d'Azur is the ideal spot for some window shopping, as you amble along designer boutique lined streets and admire luxury yachts bobbing in the marina. Its beaches aren't to be sniffed at either, with golden beauty that's tailor-made for such a glamourous region.